Today in the UK (and everywhere else on roughly the same latitude) is the first day for six months that we have more daylight than night. It’s a momentous day, and next weekend the UK says goodbye (for a while) to Greenwich Mean Time and moves to British Summer Time. This is therefore a week that I spend the winter months looking forward to. There is all the promise of Spring right on our doorsteps and then the long days of Summer to come. How about this for putting a smile on your face? I bought a number of new hellebores this year, and had absolutely no idea what the flowers would be like. This little beauty is the star of the show so far, but there are others that look like I will have to wait until next year to see their faces. what is the name of that helliabor cultivar? I love it! Maybe I can get it in the states? 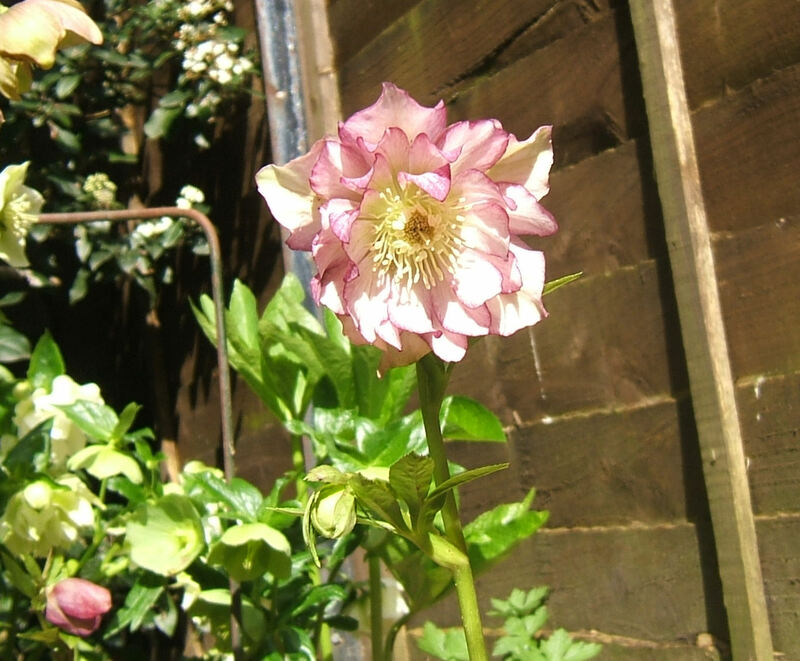 That’s a beautiful hellebore, I just love them! If you do ever find the name, please do let us all know!